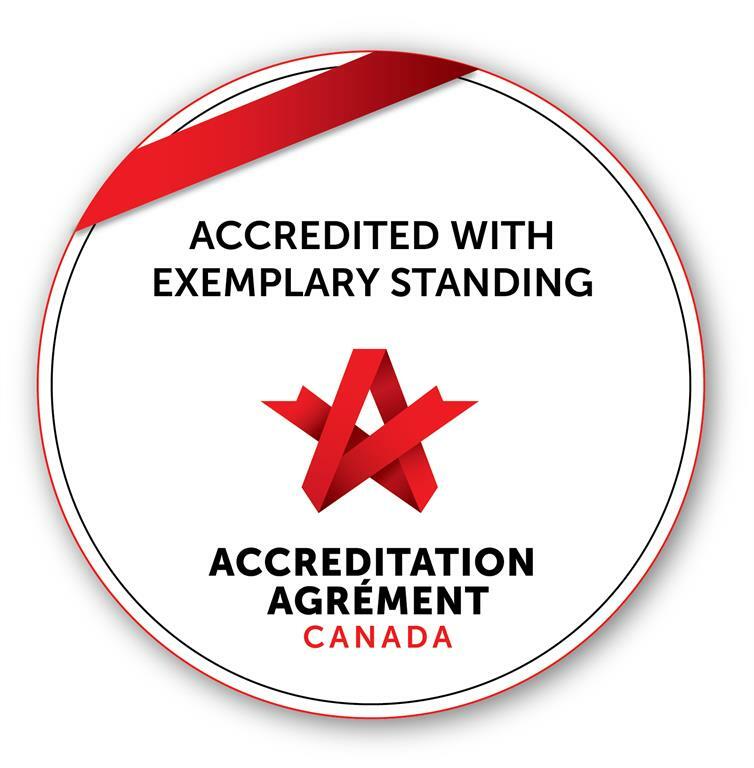 Pembroke Regional Hospital has been Accredited with Exemplary Standing by Accreditation Canada, an independent, not-for-profit organization that sets standards for quality and safety in healthcare and accredits health organizations in Canada and around the world. Exemplary Standing is the highest rating possible and is awarded to organizations that go above and beyond the requirements and demonstrate excellence in patient care and quality improvement. As part of the accreditation survey, the Pembroke Regional Hospital underwent a rigorous evaluation process. Following a comprehensive self-assessment, a team of four external peer surveyors conducted a four day on-site visit in September during which they assessed the leadership, governance, clinical programs and services at PRH against Accreditation Canada’s national standards for quality and safety. According to the final report, PRH met 99.2% of the nearly 1,800 standards and fully met all of the Required Organizational Practices - essential practices that must be in place in order to keep patients safe and minimize risks. The success of the accreditation process is attributed to the ongoing hard work and commitment of many people – all of the hospital staff, the leadership team, Board members, physicians and volunteers.